Tell us what the weather's like. Our "Weather Watcher" checks the window and reports the weather. (Occasionally, we debate the weather, because in a 4 year old's "world of weather" there are many shades of gray.) We post it on our board, near our calendar. Recently, we spent a week exploring weather in depth. 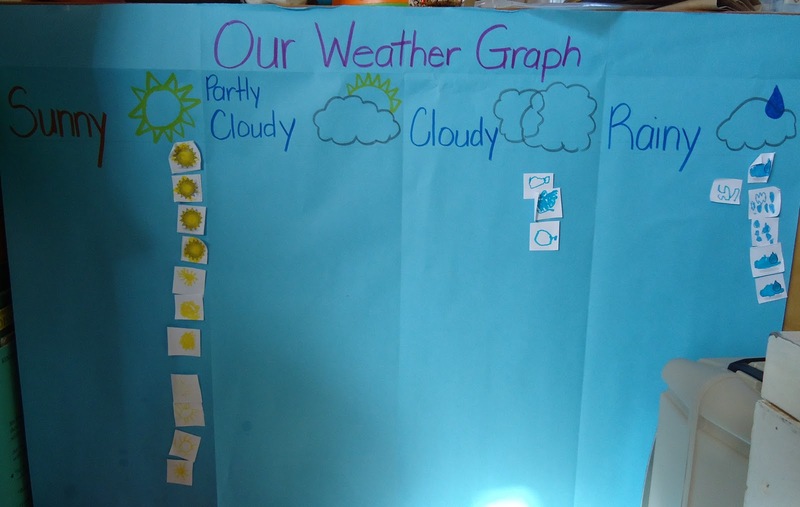 We have graphed the weather each day in March. Our "Weather Watcher" now has additional duties and draws the weather and places it on the appropriate area of the graph. 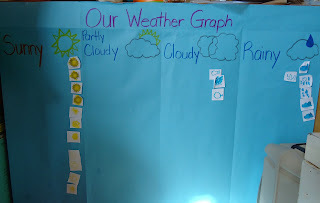 In addition, the week of our unit, each child completed a weather chart for each day. I cut out little cloud shapes from blue fun foam and let them roll the dice to place the correct number of glass bead "raindrops" on their cloud. 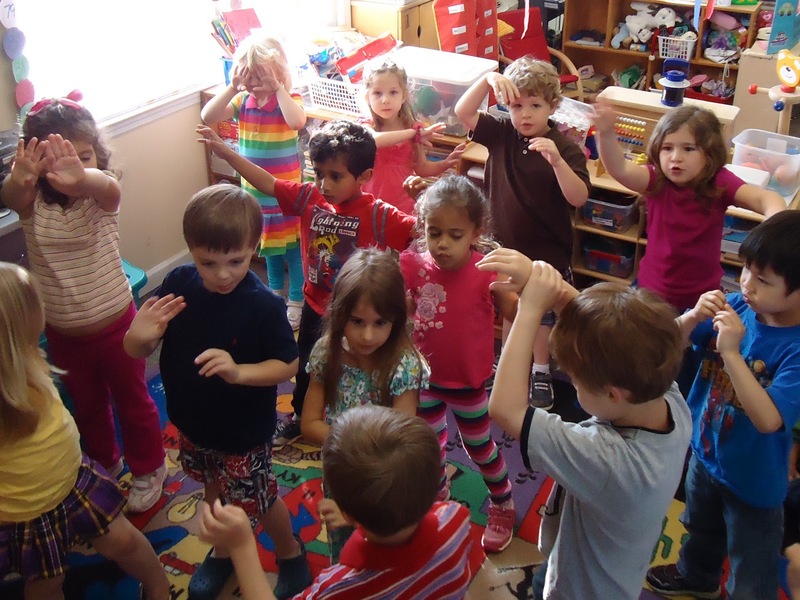 We did lots of experiments with wind. 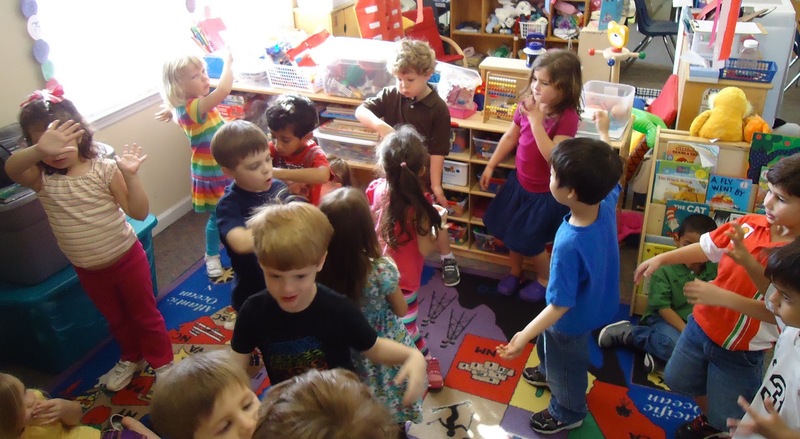 We tested a variety of items in front of a fan to see if the wind could blow them and posted them to a chart. We also tried blowing each item with our mouths, both alone and through a straw. 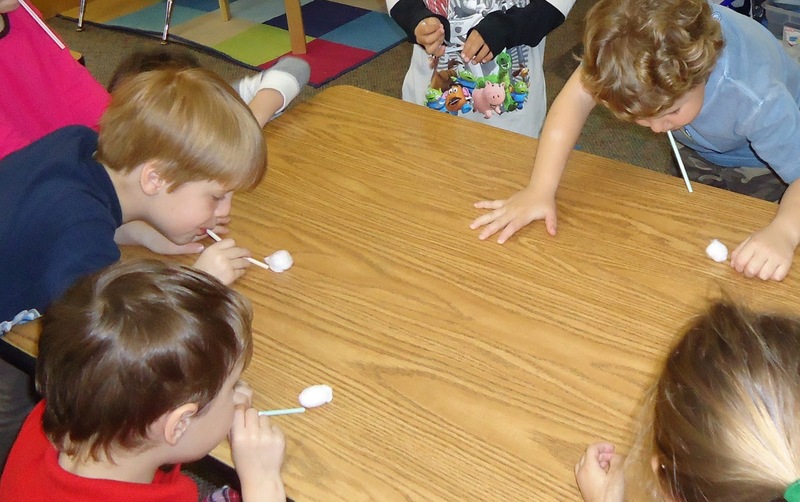 This activity led into a wind race, blowing cotton balls through straws to see which ball could go the farthest. We made weather wheels from paper plates. We read It Looked Like Spilt Milk and made cloud pictures with shaving cream and glue. We added the caption "It looked like_____." and bound these together to make a class book. We also played a game called "Be The Weather" and the students acted out the weather as I called out "weather words" like: rain, wind, thunder, sunny, etc. Our unit was capped off with a visit from our local meteorologist, Jeff Rucker from WAGT-26. Read more about his visit and see us on the news in a post coming soon! 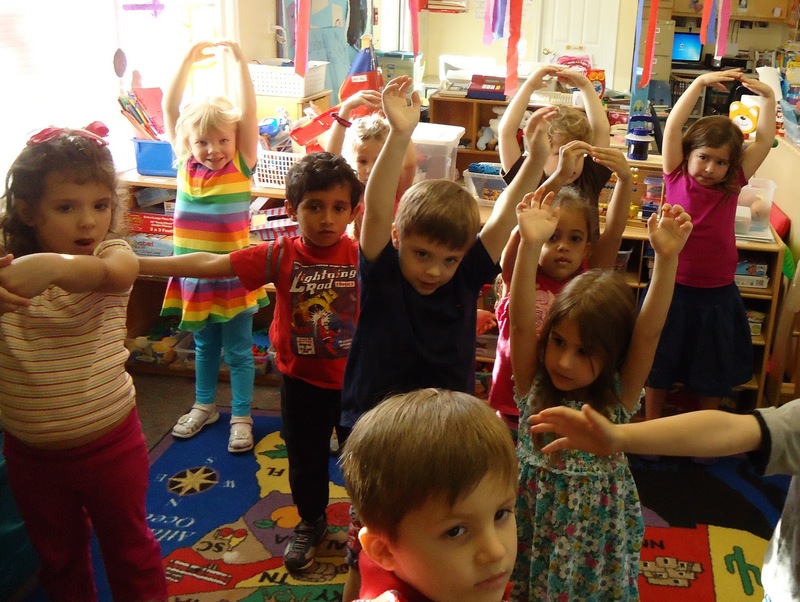 note: Coincidentally, the tsunami and earthquake had just happened when we started this unit. While I would not typically spend a lot of time on "darker world issues", one of our classmates moved back to Japan less than a month ago. Our class has been very concerned for him, so we've spent some time talking about how these disasters have affected the Japanese people. Thankfully, we've been in touch with our student, and have heard that he and his family are okay.